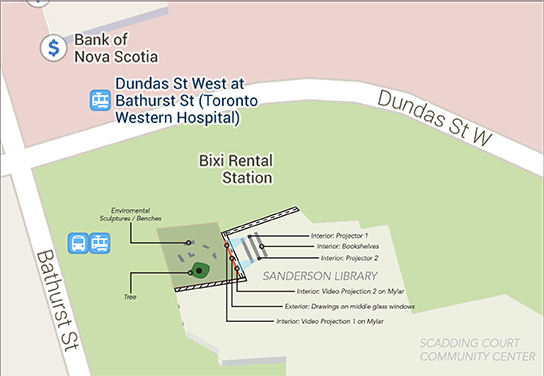 Imagine: throughout the night, the Sanderson Library windows at the Scadding Court Community Centre will transform into a contemporary urban canvas with video projection and live drawing, linking contrasting images and revealing the many layers of Toronto. 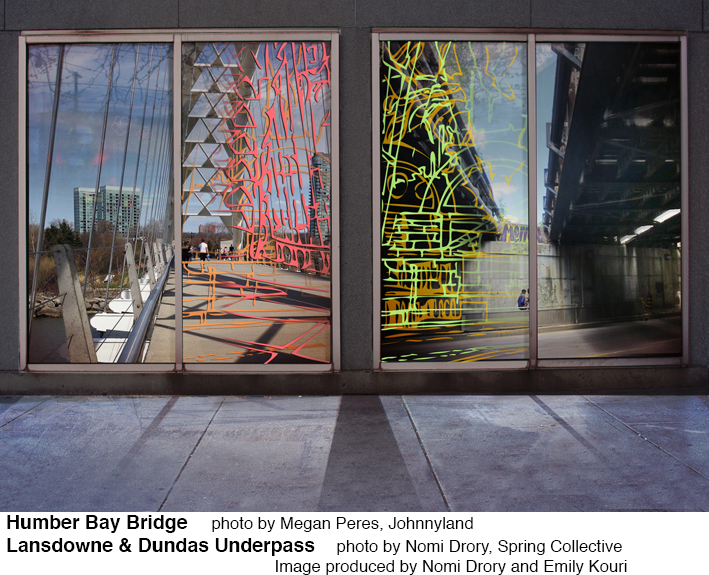 Video projections will display two disparate but related scenes from different areas of Toronto; the architecture of the city will be the link. During the night, visual artists will work directly on the glass windows, extracting urban elements from the videos and creating line drawings. This installation and live performance will shine a light on the character of Toronto’s neighbourhoods, revealing the multiplicity, diversity and variations found in the city. Mixing Toronto is a collaborative project for Nuit Blanche 2014 by artists from different cultural backgrounds and age groups who challenge yet celebrate ideas of social differentiation, inclusivity and connectivity in Toronto. This is the moment Mixing Toronto was born. 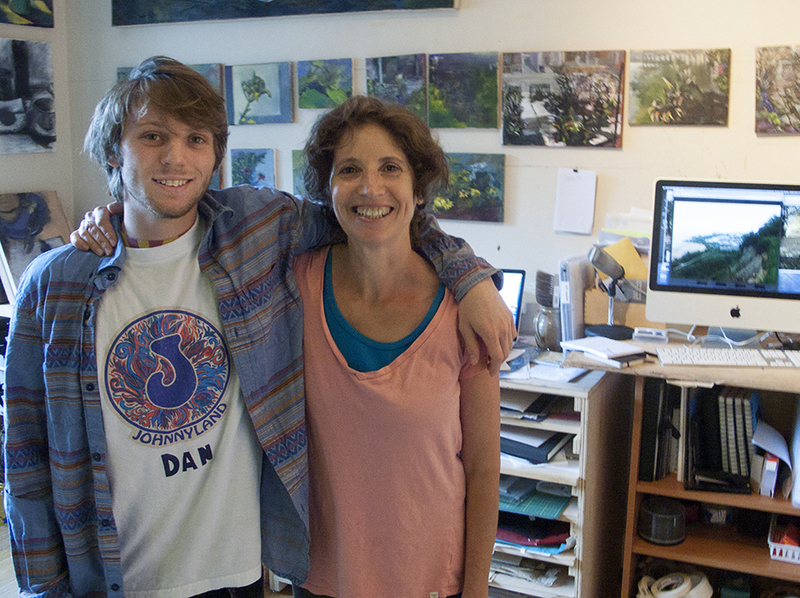 The son who has what it takes to make it happen – Dan Drory-Lehrer, concert producer and music promoter, founder of Johnnyland, an arts company operated by and for youth. 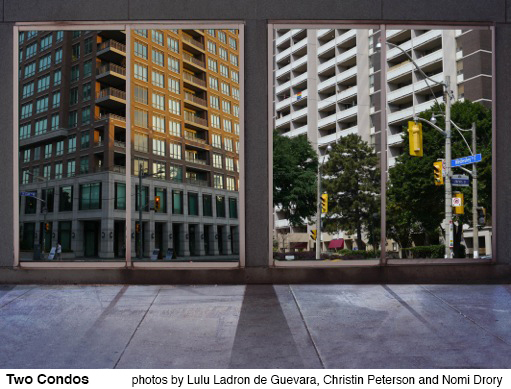 Mixing Toronto is an installation that plays with the notion of merging contrasting geographical locations. By choosing many ways of pairing the videos, such as by subject or themes found in architecture, the work explores various aspects of the urban fabric. At times the pairing is done by comparing formal elements, such as the arch of the Prince’s Gate and the arch of the Chinese Gate. At times they are more political. We rent a camera that is passed through the group. Group members shoot short videos in pairs, of different locations. We use the camera in a very responsive way. Some members take quick snapshots while going on with their daily life, others plan the shots with preconceived ideas of contrasting places in the city. The shots are posted on a common web account, allowing participants to brainstorm and develop ideas. Working in pairs, we take five-minute videos from each location. All the locations are public spaces. We set the camera still and let the urban life move across it. The installation is designed to be viewed from the street. There are four large window sections. Video projections rotate at both ends onto Mylar. 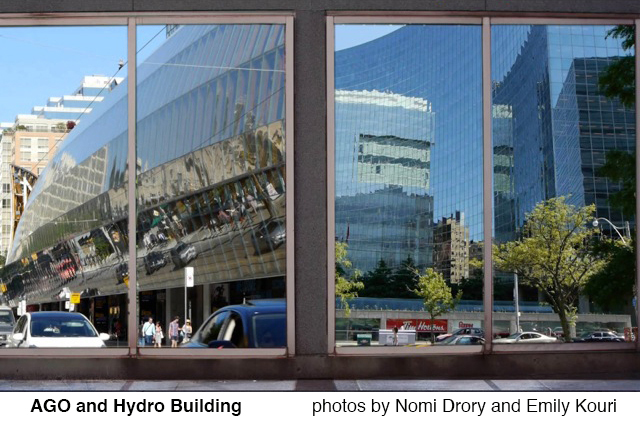 These projections involve interplay of both comparable architectural prototypes and contrasting human activities. For example, a café in a Victorian building in Parkdale and a café in a Yorkville Victorian edifice. 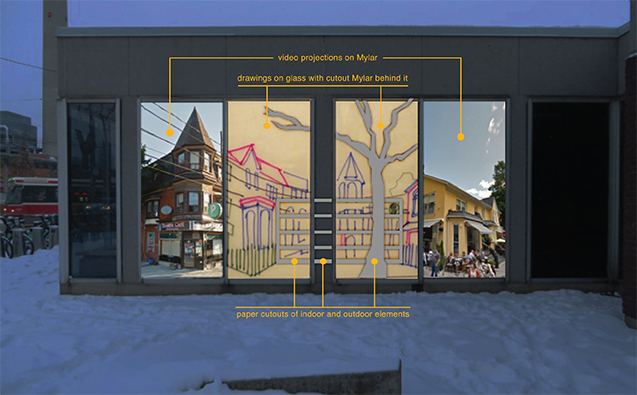 The middle window is a visual mediation and reconciliation between the dichotomies presented in the projections, using drawing media. 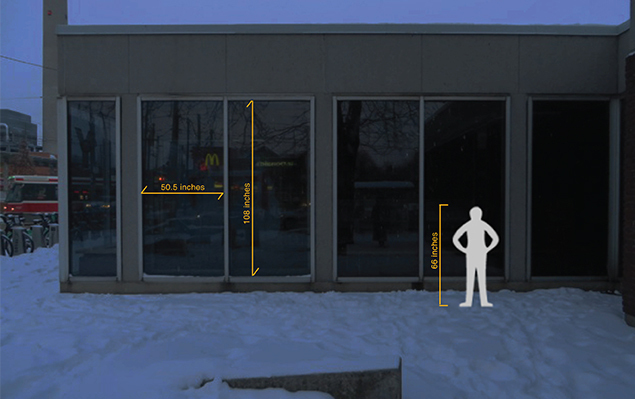 In the span of 12 hours, in half-hour increments, artists will draw on the outside of the middle window, with glass markers, responding to elements in the projections on both sides. Thus, the drawings will gradually juxtapose and superimpose, resulting in a multi-layered representation of the city. This project taps into the tendency that people have for comparisons. 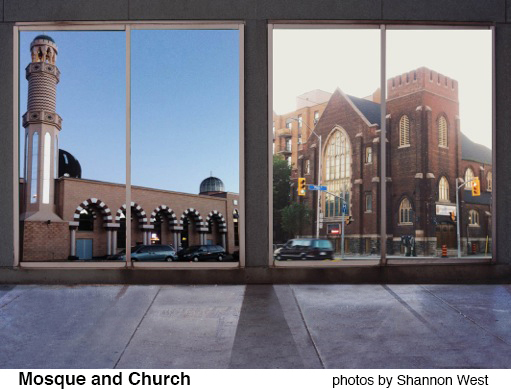 In the beginning, a viewer may see extreme differences between two locations, but as the sequence of juxtaposed images progresses, the viewer will perceive the nuances and complexities found in the city. Line drawings on windows created by visual artists will emphasize unity by linking and blurring social, cultural and economical distinctions. One of the aspects of the end result will be a layered imagery of the fabric of Toronto that is taken from using both new and old media – very old media – line drawing. It’s an elemental juxtaposition. 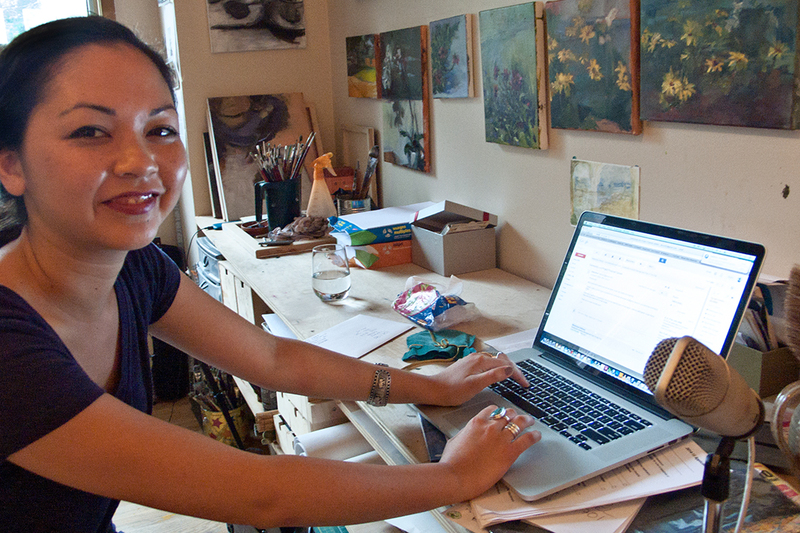 Here’s where you will find Mixing Toronto at Nuit Blanche, Oct. 4, 2014, sunset to sunrise. Tags: art installations, Nuit Blanche 2014, public art, Scadding Court Community Centre, Toronto visual art. Bookmark the permalink.